Thanks to SlashFilm and io9 for the tip on these. Original description for this first batch of films: "The first six shorts combine original dialogue, music, and sound effects with bold new animations, and fun and educational add-ons designed to help older fans, parents, and other mentors to welcome the kids in their lives to explore the galaxy far, far away. Additional shorts featuring fan-favorite characters will debut in December, with regular releases following in 2019." 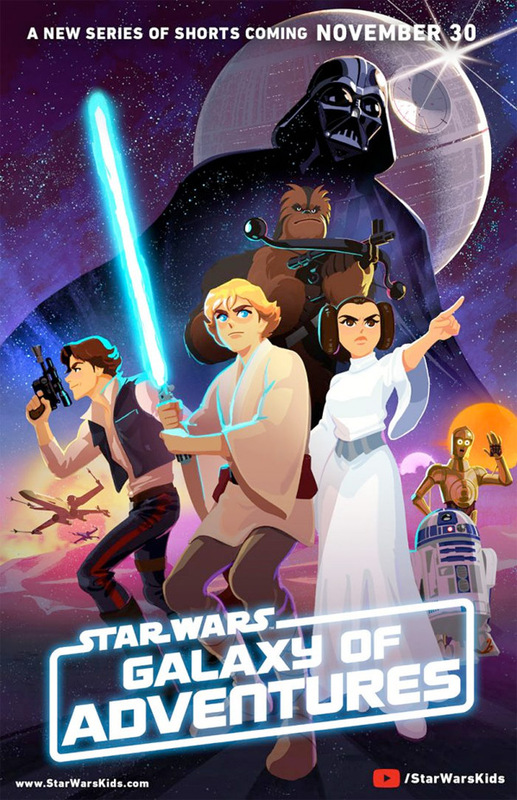 For more info and updates, visit the official website for Star Wars Galaxy of Adventures at: starwarskids.com. You can also subscribe on YouTube for the latest shorts and videos as they're released. These are all directed by Barry Kelly from Titmouse Animation, the company responsible for shows like "Metalocalypse" and "Black Dynamite", and films like Nerdland. Cool?